We now offer our clients rentals for their events. Stay tuned … we’ll be adding more items soon! 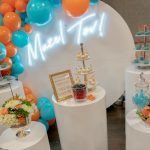 Our Mazel Tov sign measures 4′ W x 14″ H and will be a fabulous addition to your upcoming Mitzvah. Wherever you place it — above the band or DJ, on a banquet table as decoration, or on our new photo backdrop — it’s a statement piece that gives a beautiful touch of light to make your special day even more special! 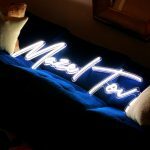 All of our signs use the newest technology of LED flexible tube to bring you the same effect as a real glass neon sign, but without the downsides. It’s cold, silent, safe, low voltage and doesn’t break! Stacey Moe Events will deliver and set up for you. Contact us for pricing and delivery details. Check out our photo backdrop and pedestals! 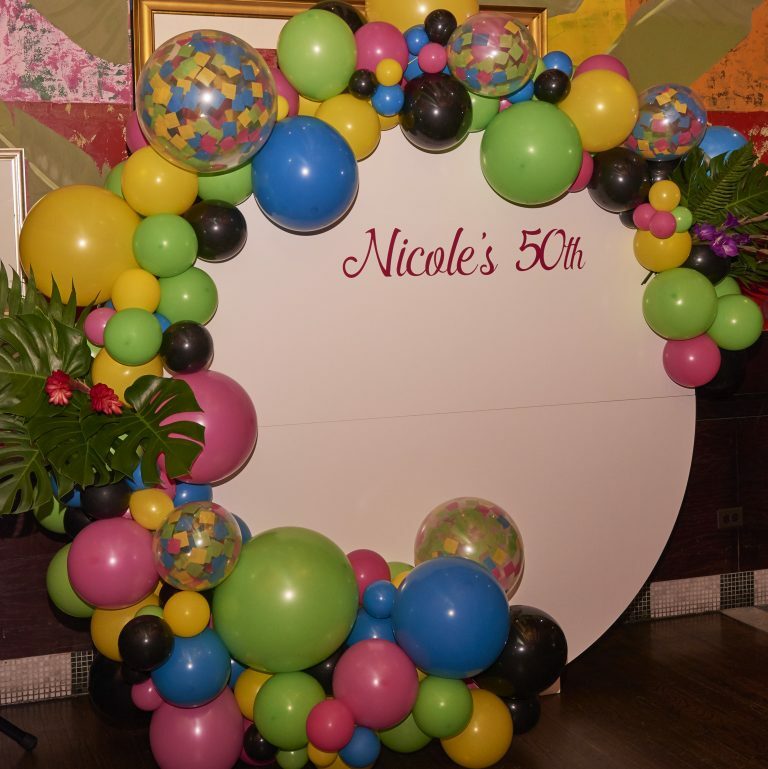 We can personalize the backdrop with custom signage, balloons and floral décor, or rent it along with our Mazel Tov! neon sign. Make an impact and add our specially made pedestals into your floor plan, too! They’re super versatile and a great alternative to a traditional banquet table display. 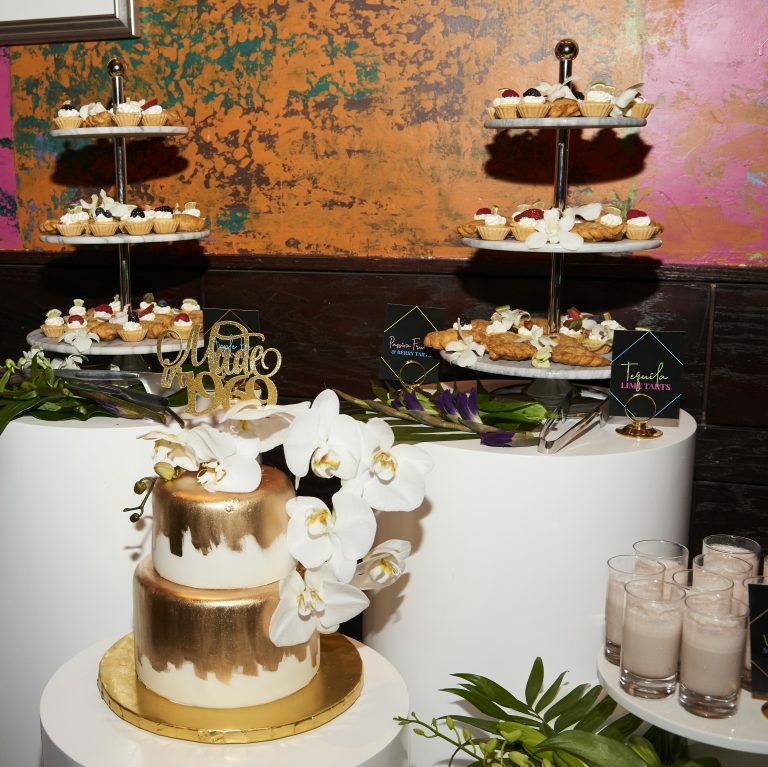 We’re really into sweets and have a flair for displaying all things sugary and delectable! 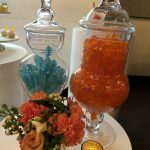 Of course, this means we have an awesome array of apothecary jars, pretty cake stands and tiered trays available for you to rent. And if you love donuts like we do, then rent one (or all … we have three!) of our cool, lucite donut walls. 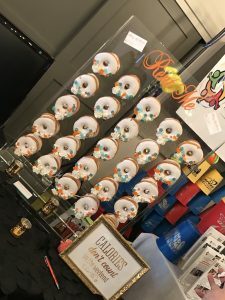 They’re fully customizable and available with or without decorated donuts. Reach out anytime -we'll get back in touch within 24 hours.